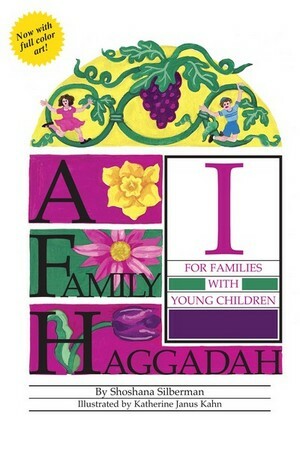 With just the right blend of text and commentary, the popular A Family Haggadah, with new full-color art, is the haggadah of choice for families with young children to use at their Passover seders. Hebrew prayers and songs include English translations and transliterations. This haggadah is also available in bulk cases of 120. For more information call 1-800-4KARBEN. What is the difference between the text of “A Family Haggadah I” and “A Family Haggadah II”? A Family Haggadah I includes a seder checklist. A Family Haggadah I includes more songs appropropriate for young children, including Let My People Go, The Frog Song. A Family Haggadah I has short version of Birkat Hamazon. The ritual for Miriam’s Cup is also included. A Family Haggadah II has more detail in telling of the Passover story. A Family Haggadah II has the complete Birkat Hamazon. The ritual for Miriam’s Cup is included. Have a question about choosing the right Haggadah for your family? Call 1-800-4KARBEN to speak with a customer service representative about Kar-Ben’s family of Haggadahs.